Cooper Union alumnus Remy Charlip (A’49), an award-winning dancer, choreographer and children book’s author, died on Tuesday, August 18 in San Francisco. Charlip was a founding member of the Merce Cunningham dance company in 1953 which would go on to achieve international renown for its radical approach to space, time, and technology. He also founded the Paper Bag Players, a children’s theater group with whom Charlip won two Obie awards in the 1960s. 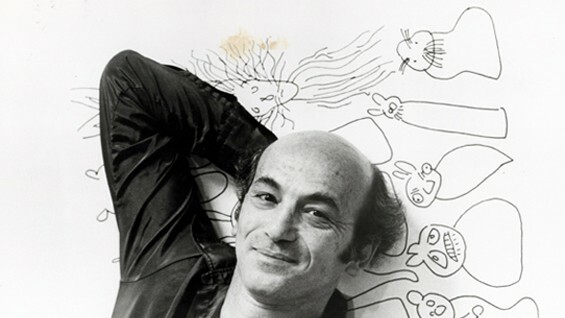 Some of his children’s books have won him wide ranging visibility; his most popular Fortunately (1964) was continuously in print for over thirty years. Mr. Charlip’s half-century of work cut across a wide spectrum of art forms, aesthetic registers and audiences. He drew no particular distinctions among them. All were forms of an “internal dance,” as he called it, that he liked to stage in his own and other people’s minds. Another of his signatures was the “airmail dance,” a set of drawings depicting various dance poses. Mr. Charlip would mail them to dance companies and let them choreograph the moves themselves. Mr. Charlip began his artistic career as a painter but became interested early on in narrative art forms, he said in a 1997 interview for a catalog of his work assembled by the Library of Congress. The two forms he settled on, dance and children’s books, shared some essential elements. Both speak in a visual language for the most part, and both move through a series of scenes.